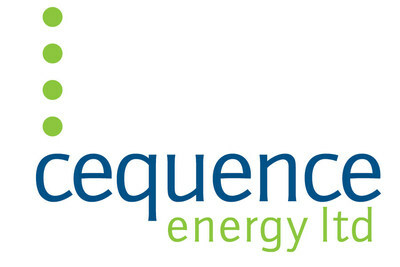 CALGARY, Nov. 8, 2018 /CNW/ – Cequence Energy Ltd. (“Cequence” or the “Company”) (TSX: CQE) is pleased to announce its operating and financial results for the three and nine-month periods ended September 30, 2018. The Company's Condensed Consolidated Financial Statements and Management's Discussion and Analysis are available at cequence-energy.com and on SEDAR at www.sedar.com. This press release refers to terms and financial measures commonly used in the oil and gas industry, including operating netback, cash netback, net debt, funds flow from (used in) operations and total revenue. These financial measures are considered “non-GAAP measures”, as they do not have a standardized meaning prescribed by IFRS and are therefore unlikely to be comparable to similar measures presented by other issuers. Certain statements included in this press release constitute forward-looking statements or forward-looking information under applicable securities legislation. Such forward-looking statements or information, including the forward-looking financial information under the Outlook heading, are provided for the purpose of providing information about management's current expectations and plans relating to the future. Readers are cautioned that reliance on such information may not be appropriate for other purposes, such as making investment decisions. Forward-looking statements or information typically contain statements with words such as “anticipate”, “believe”, “estimate”, “expect”, “forecast”, “plan”, “intend”, “estimate”, “plan”, “propose”, “project”, “schedule” or similar words suggesting future outcomes or statements regarding an outlook. Forward-looking statements or information in this press release may include, but are not limited to, statements relating to the Company's production and future performance expectations of the recently completed Dunvegan wells, the impact of higher oil volumes and lower gas volumes on operating costs, the drilling results and future production of the planned Dunvegan wells, the estimated number of oil locations remaining on the Company's land and the Company's outlook and guidance for 2018.